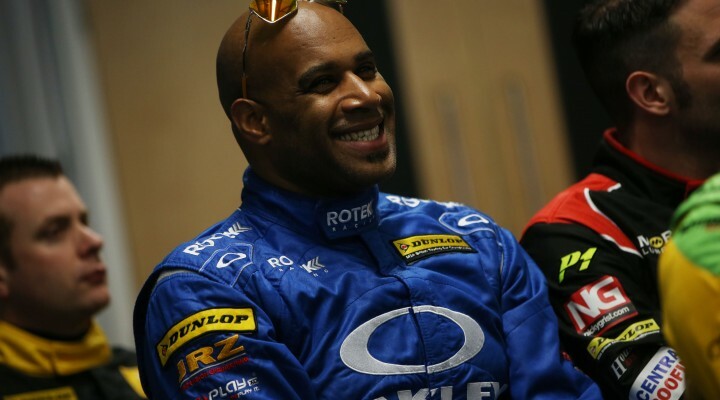 Experienced Dunlop MSA British Touring Car Championship racer Robb Holland has today (14 July) been confirmed as Simon Belcher’s replacement at Independents Trophy team Handy Motorsport for the next three events on the 2015 calendar – Snetterton, Knockhill and Rockingham. Holland, originally from Denver, Colorado, moves into the driving seat of Belcher’s Toyota Avensis for the next nine races thanks to backing from long-time sponsor Oakley Motorsports in connection with existing commercial support from Belcher’s headline sponsors Webb Garden Power Equipment and KÄRCHER. “I am, of course, very excited to be back in the championship,” he commented. “I’ve been working hard to put something together since I found out Rotek Racing wouldn’t be returning. I want to thank Simon Belcher, his existing sponsors and my long-time partner Oakley Motorsports for helping to make this happen. Swindon driver Belcher, who remains as Handy Motorsport Team Principal and who will return to race action for the final two events at Silverstone and Brands Hatch Grand Prix Circuit, confirmed during the previous BTCC outing at Croft he would be stepping aside from active competition for budgetary reasons – a legacy of heavy car damage sustained in qualifying at Thruxton in May. In order to shore-up Handy’s position in the BTCC and to rebalance the squad’s financial position, Belcher and the team took the decision to seek a substitute driver for the next three events and the second year touring car competitor is thrilled to have agreed terms with Holland to step into the part-funded drive. Holland, of course, first arrived in the BTCC in 2012 where he contested selected rounds in a Honda Civic – becoming the first American driver since 1975 to compete in the championship. Later that year, he also made history as the first ever driver from the USA to race in the FIA World Touring Car Championship when substituting for Pasquale di Sabatino in a Chevrolet Cruze at Sonoma Raceway. In 2013, he contested three races in the BTCC at the wheel of a Vauxhall Insignia but 2014 was his biggest campaign to date in the category, entering all but six races in the Audi S3 which is now piloted by Nic Hamilton – brother of FIA Formula One World Champion Lewis – in the championship. Holland’s formative career includes participation in the SPEED World Challenge Series, Grand-Am and National Auto Sport Association Championships in America. Away from the track, he works as a driving instructor for Lamborghini and Audi Club of America, among others, and is part-owner of a race shop at the legendary Nurburgring-Nordschleife in Germany. Holland’s first race meeting with Handy Motorsport in the BTCC will take place over the weekend 8th/9th August at Snetterton 300 Circuit in Norfolk. He will, however, get his first experience of the Toyota during the official Dunlop tyre test at Snetterton this coming Thursday, 16th July.